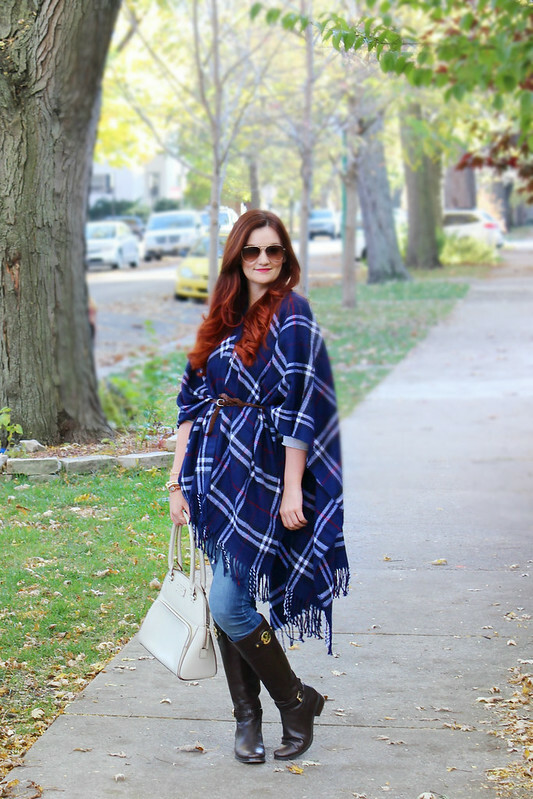 I've been looking for an amazing poncho to add to my fall wardrobe, and this amazing and chic navy plaid one from Pink Slip Boutique was the absolute perfect one!! 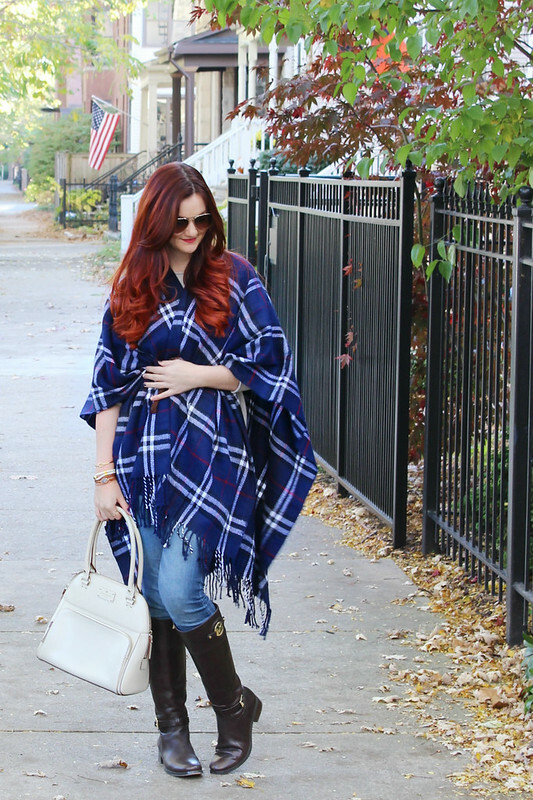 The navy, white, red, and black pattern is so perfect and that the poncho can be worn with so many things! I really want to try rocking it with white pants one day! It's surprisingly warm (about the thickness of a blanket scarf) so it can easily be warn with a sweater underneath without a jacket. I wanted to give the poncho some shape, so I added a simple brown belt tied in a knot. 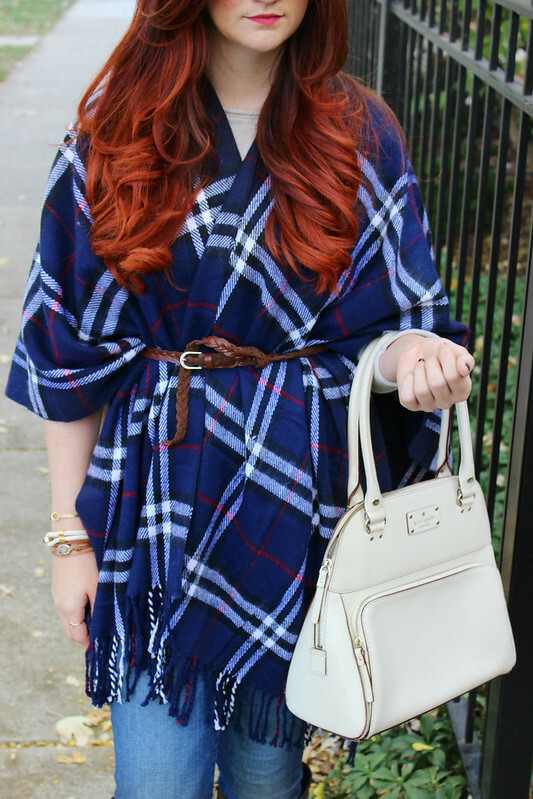 I didn't tie it completely around the poncho though. 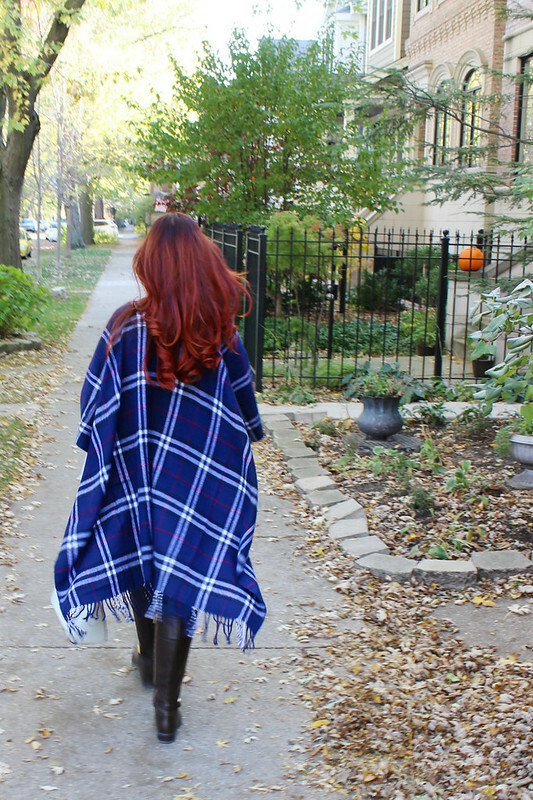 I only tied the front and let the back of the poncho remain flowy. 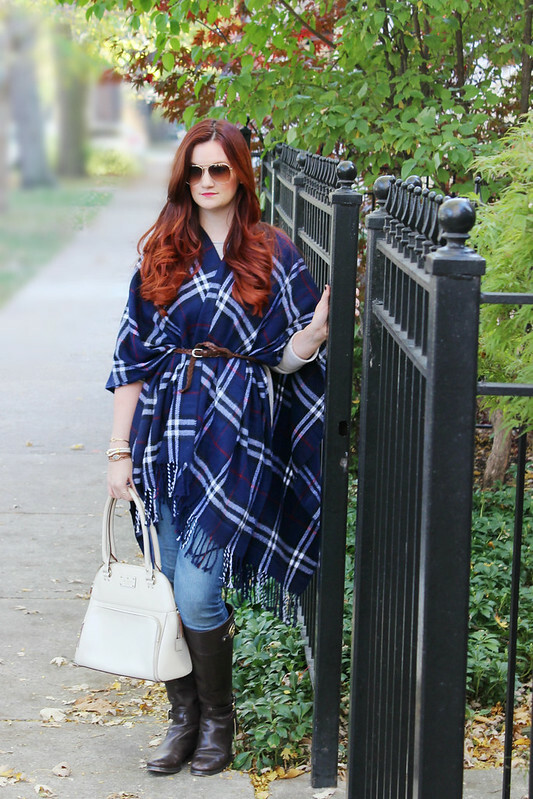 My boyfriend called me "super poncho" because it looked like I had a cape on, haha! But... he did say it was the most fashionable cape he's ever seen! See? Super poncho to the rescue!! Fighting crime and looking fabulous! 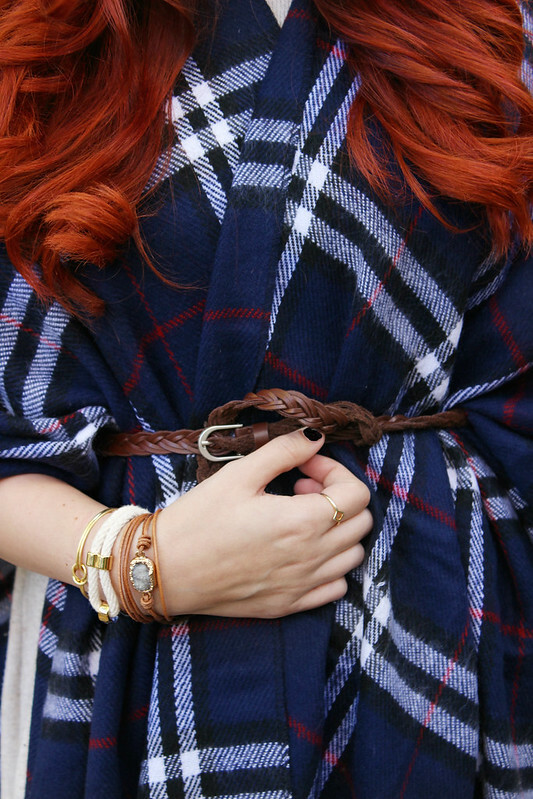 Of course, no outfit is complete without the perfect arm party. 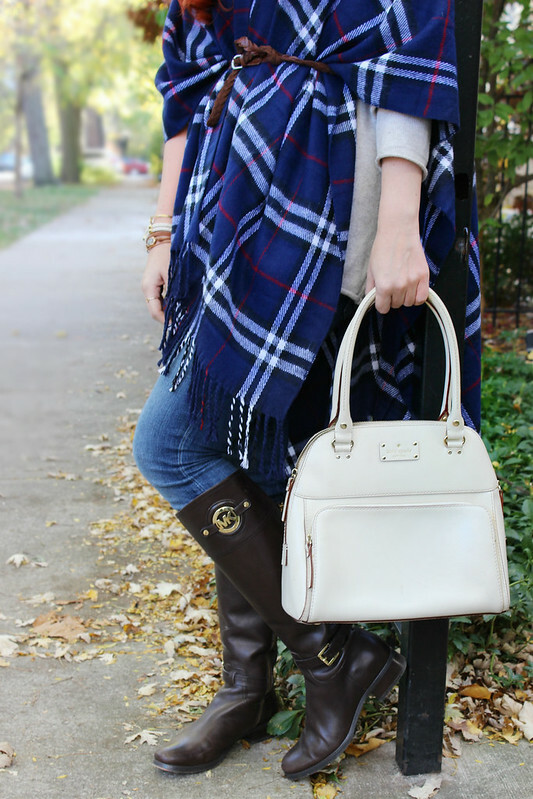 My Allison Cole rope bracelet seriously goes with everything! You can get 15% off everything in her store using code: LINDZI. 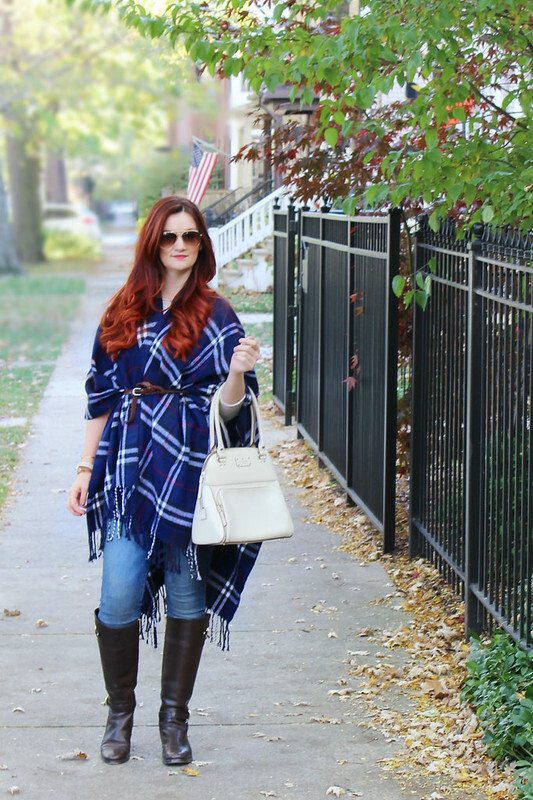 I kept all of my accessories, boots, and handbags in neutral tones to let the poncho be the star. 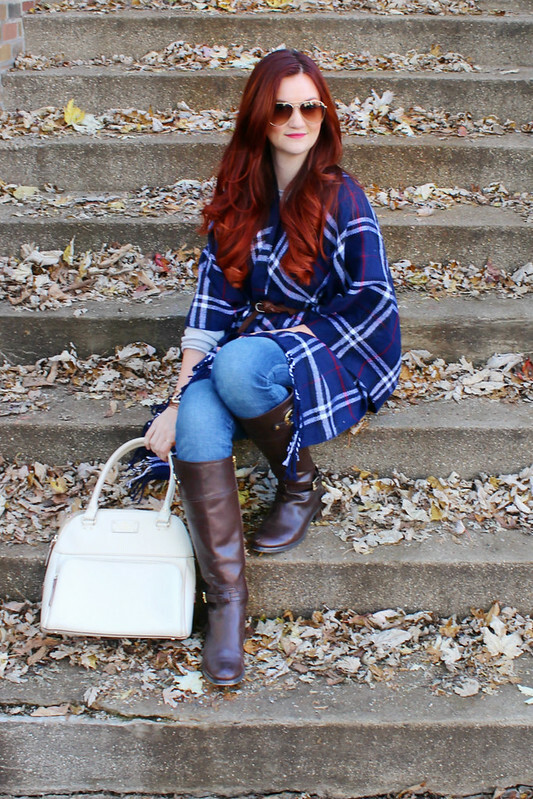 And I seriously love the way the navy color makes my red hair pop!